Blogger is one of the easiest and most robust blogging platforms on the Internet today, and a large part of its popularity has to do with the community of developers who support it. Without any technical knowledge for design and coding, users can enjoy a wide variety of three-column blogger templates to customize the look and feel of their websites. This can be an ideal layout for anyone who wants to give his or her blog an organized appearance. The following sites have a nice variety of three-column templates that work well on Blogger platforms. One is bound to suit your needs. 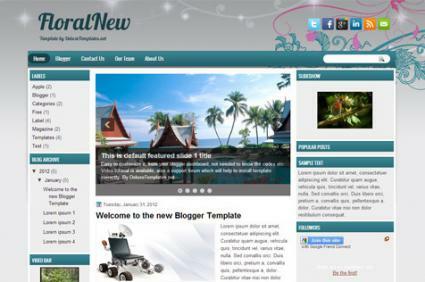 Bloggers who want a very clean design for their sites will enjoy the templates offered by Final Sense. Most of the templates are relatively simple in appearance, and they keep graphics and navigation to a relative minimum. Since the templates are so simple, they could also serve as suitable and accessible bases for further customization and personalization. The three-column layouts include those where the main content is in the center, as well as designs with two sidebars either to the left or right. Offering a wide range of Blogger templates, many of the designs on Blogger Blog Templates offer a magazine-style layout that would be particularly suited for professional blogs and online newspapers. Some of the more popular examples here have been specifically designed for sports blogs, movie blogs, and gossip blogs. There are also designs that cater to video blogs, as well as blogs that have been created for the purpose of powering an online store. 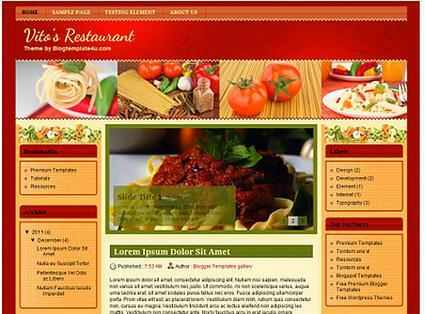 Online and offline businesses will also find three-column templates that could be suitable for a company website, such as a site for a restaurant or beauty salon. 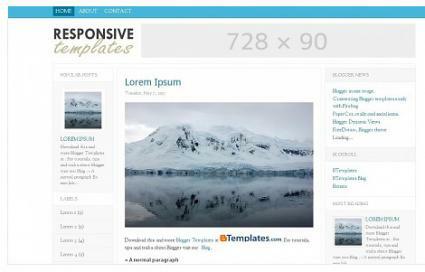 With one of the largest repositories of Blogger templates on the web, all of which are available as a free download, BTemplates can be a very valuable resource for bloggers in search of a new design. As of the writing of this article in August 2013, BTemplates had over 1,100 three-column Blogger templates in its library. Browsing through so many templates can prove daunting, but you can filter your search by style, color, sidebar location, and width specification. You can also see which templates are most commented on, most downloaded, most viewed, and most rated. With flashier-looking designs that may sometimes feature background images behind the main content area and sidebars, the templates offered by Deluxe Templates are certainly eye catching. This can be great for personal blogs since they offer a chance for greater expression and personality. Some of the three-column designs come with large banner images at the top, as well as some with a two-column layout near the top half before the sidebar splits into two smaller sidebars toward the bottom. This site provides live demos of each of its templates. which can really help you make your choice. Listing well over 100 three-column templates for Blogger, All Blog Tools provides thumbnails of each of the designs, as well as a live demo function to get a full preview of the full site design. Many of the templates are geared more toward personal or family blogging, but the simpler and more elegant designs could be appropriate for online newsletters and business blogs. Although two-column templates are the most common layouts on Blogger, many bloggers have discovered that a three-column design offers some distinct advantages. This type of template is often used by business and personal bloggers who want a format that provides separate columns for their current content, photos, biography, and links. This type of template is user friendly and easy to install. It gives readers easy access to what they might be looking for, while providing the blogger with a clean and attractive design. 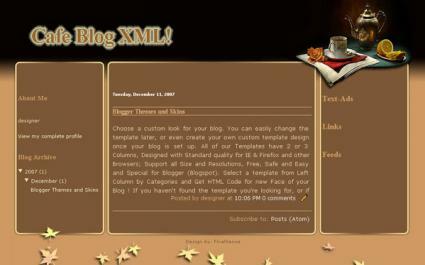 If you like to use widgets, the three-column design lets you spread them out so that your blog doesn't look cluttered. While many people blog for pleasure and self expression, others are interested in making money from blogging. There are a number of ways to do this. You can use AdSense, which is a program that lets you place Google ads on your blog. You get paid if someone clicks on these ads. Amazon Associates offers another way to earn money on your blog. This is particularity useful if you plan to blog about books, music, or other products sold on Amazon. A three-column design gives you greater flexibility in the placement of these ads since you can keep the main content in the middle and place your ads on either side. Remember, balance is key. Make sure that you have an equal amount of content in each side column. A single column design may feel too limiting, and having just the one sidebar with a two-column design may not leave enough room for archives, social media icons, and widgets. A three-column Blogger template offers greater flexibility, and it can help you organize all of that content in a more robust layout that provides your readers with more information without cluttering the screen. 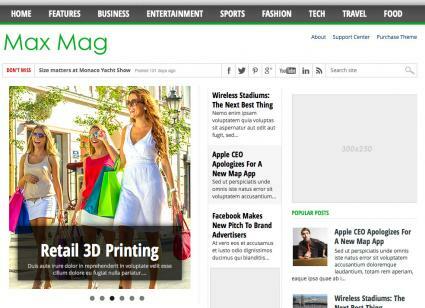 Using three-column blogger templates can be one of your first steps in creating an interesting and user-friendly blog. Remember to save your original template before downloading a new one. That way if something goes wrong, your original information can be restored.